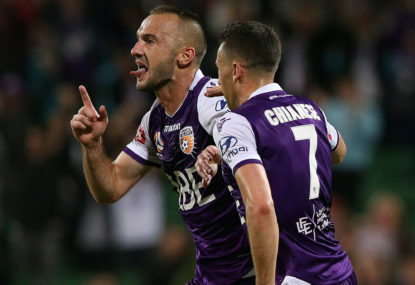 This one was tough to write considering how much of an impact has had on the ladder leading Perth Glory, this season. 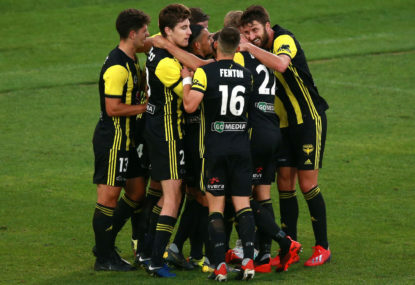 As I watched my team win their first ever Premiers Plate, their first trophy in 15 years, and found out that owner Tony Sage was planning for success next season, I had a thought about next season. I knew that out of our four attackers, one will regularly miss out on minutes. As I’m sure you all know, the Glory have just signed former Melbourne City striker Bruno Fornaroli on a two-year deal after falling out with City coach Warren Joyce. He is filling the Perth Glory’s second marquee spot but won’t be able to play for the rest of the season. So, if you were to look at the Glory’s forward line, you’ve got Diego Castro, Chris Ikonomidis, Andy Keogh, and Bruno Fornaroli. How can you fit all four on one team? When you look at formation you can, but it wouldn’t be one that would suit Ikonomidis. It would probably be a 4-1-2-1-2 formation which would see Andy Keogh and Bruno Fornaroli play as the two strikers, while Ikonomidis would play on one of the wings with Joel Chianese on the other wing and Diego Castro Attacking Midfield. The big problem with this would be that it would put Ikonomidis out of the habitat that he has been in this season. He is playing either as a secondary striker or as a narrow winger. This has led him to score eight goals with three assists in 17 games, like a secondary striker should. If you were to put Ikonomidis out to a wide midfielder, there isn’t much room for him to score when you have two strikers. Also, Ivan Franjic and Jason Davidson would be put back into regular fullbacks, who wouldn’t come up and help the attacking play as much. Then, you only have room for two centre-backs instead of three. If I pictured what the Glory would be like without Ikonomidis, things make a lot more sense. You would still have Andy Keogh and Bruno Fornaroli up top. Then, all of the players would be able to play in the same position they have this year. So, I would suggest playing in a 5-2-1-2 formation. Another thing Perth could get ahead of by selling Ikonomidis is the money. How annoying must it be in the A-League when you lose a player for no money because transfer fees don’t exist. They’ll obviously have to sell him overseas. 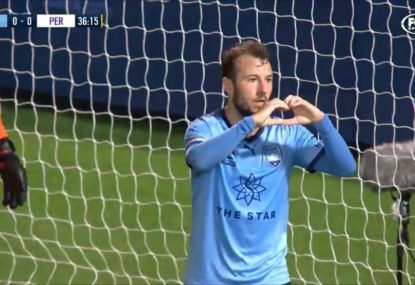 During the last offseason, Sydney FC sold Adrian Mierzejewski to Chinese club Changchung Yatai for $1.3 million. They also sold star striker Bobo for $800,000. The Sky Blues then went on to replace them with Adam Le Fondre and Siem de Jong, both of whom have played very well this season. I’m basing this off a very rough estimate, but if you can get $1.3 million for a 31-year-old attacking midfielder who scores 13 goals with nine assists in 25 games, then I’d say you could get at least $2.3 million for a 23-year-old secondary striker that has scored eight goals, with three assists, in 17 games and has represented the Socceroos at the Asian Cup. $2.3 million could do a lot for any A-League club. Keisuke Honda is currently on $2.9 million in his one-year contract at Melbourne Victory, what about the $3 million as well? 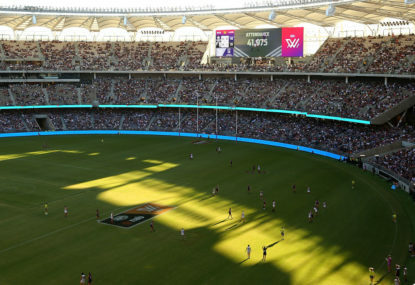 How about Tony Sage’s complaints about paying $100,000 a game at HBF Park? That could pay for 23 games. 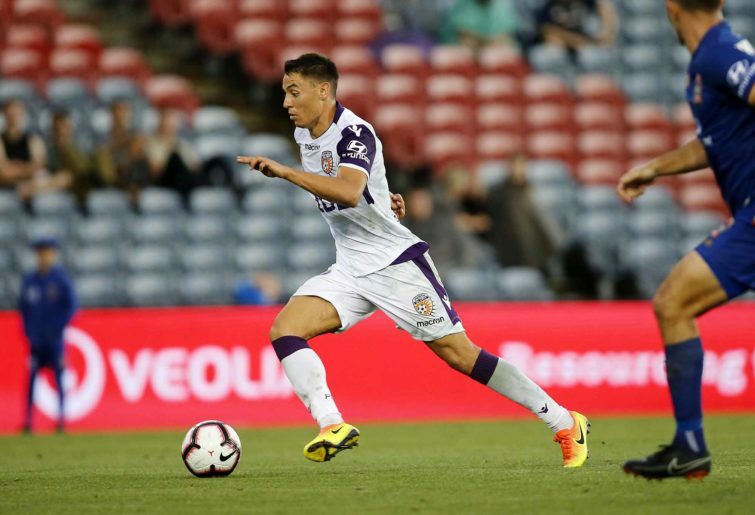 As much as I’ve loved Chris Ikonomidis’ play over the course of the season, there are certainly a lot of arguments stacking up for the Perth Glory to sell him.